Just off motorway I-40, within driving distance of Nashville city centre, this hotel in Dickson, Tennessee offers a free hot breakfast every morning and free high-speed internet access. Hampton Inn Dickson features guestrooms with coffeemakers, mini-refrigerators and microwaves. Guests will also enjoy the indoor swimming pool and fitness centre at this completely non-smoking hotel. 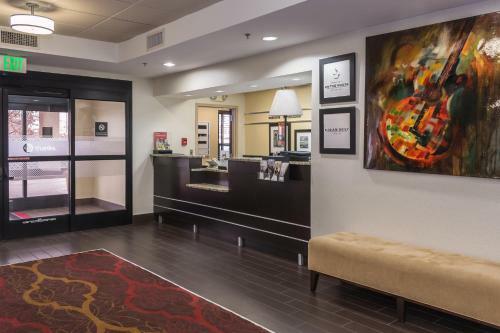 While staying at the Dickson Hampton Inn, guests can easily visit the Renaissance Center. Attractions including the historic Old Spencer Mill and Montgomery Bell State Park are within driving distance. the hotel Hampton Inn Dickson so we can give you detailed rates for the rooms in the desired period.